These fascinating flowers are the kings of the plant world, there’s no two ways about it. These beautiful blooms have held a special place in our affections for generations, and there’s no denying that of all the flowers in the plant world, the orchid holds a unique fascination for us. These mysterious flowers, are some of nature’s most interesting blooms, and have a striking elegance and beauty. 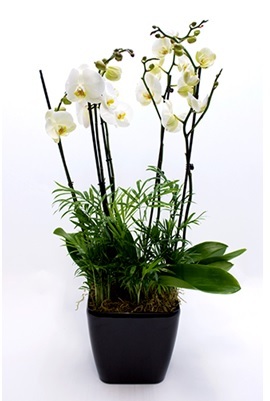 That’s why, as specialist suppliers of corporate flowers, we’re proud to offer a selection of orchids to our clients. As far as we’re concerned, these flowers make a fantastic addition to any office and can brighten up any space in an instant. Not convinced? Then read on as we explore the unique allure of the orchid. 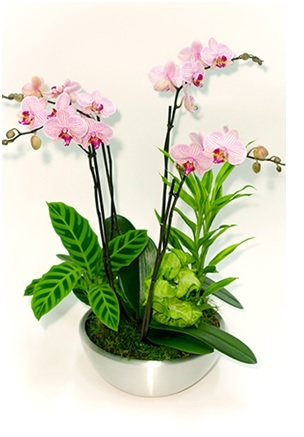 Elegant, exotic and quite simply beautiful, orchids are one of the most highly coveted flower varieties around. Our obsession with orchids runs deep too and we have been cultivating these striking flowers for hundreds of years. Orchids are easy to distinguish from most other plant species too, due to their unique characteristics, including the bilateral symmetry of their flowers. This means that their left and right sides are mirror images of one another. There’s beauty in symmetry and this is probably one of the many reasons why we find them so appealing. Orchids are extremely diverse and adaptable. They can be found everywhere from the tropics to the Arctic tundra. They come in all shapes and sizes, from the tiny to the towering, and feature every kind of pattern and colour combination imaginable. According to scientists, orchids are also the most highly evolved flower species on the planet and are masters when it comes to survival. In fact, they’re kind of like the chameleons of the plant world. No, really! Orchids are extremely adept at mimicking their environment and have a whole host of neat tricks up their sleeves, to help them deceive both predators and prey. 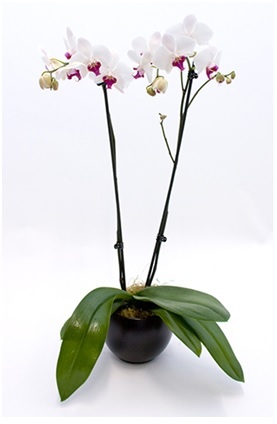 We typically think of orchids as being rather rare. But this isn’t necessarily the case. Orchids are the largest and most diverse plant family on earth. In fact, it’s estimated that there are somewhere between 20,000 to 30,000 different types of orchid. And that’s not all, scientists believe that many more remain undiscovered too, so watch this space! 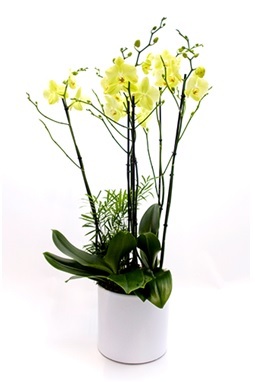 Not only do orchids produce beautiful blooms, these are typically long-lasting too. 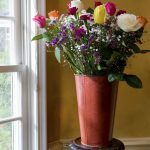 Some of the most common varieties can bloom for months on end, making it to easy to cheer up any room with a stunning flower display. When it comes to flower maintenance, orchids have got a bit of a bad reputation. 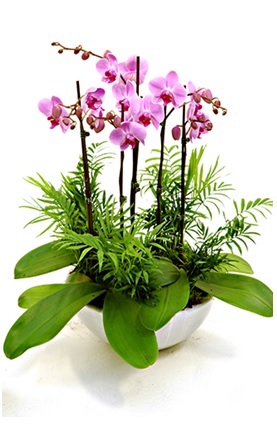 But contrary to popular opinion, orchids aren’t as difficult to care for as you might think. Many orchids simply don’t deserve their reputation for being fussy growers. In fact, they can be surprisingly easy to care for, providing you have the right know-how. As long as they have access to adequate light and airflow, and are watered regularly, they should get on just fine and be happy as Larry. Want to know more about our services? Then contact us today, by giving us a call on 0208 968 8190 and a member of our friendly team will be happy to help you with your enquiries.